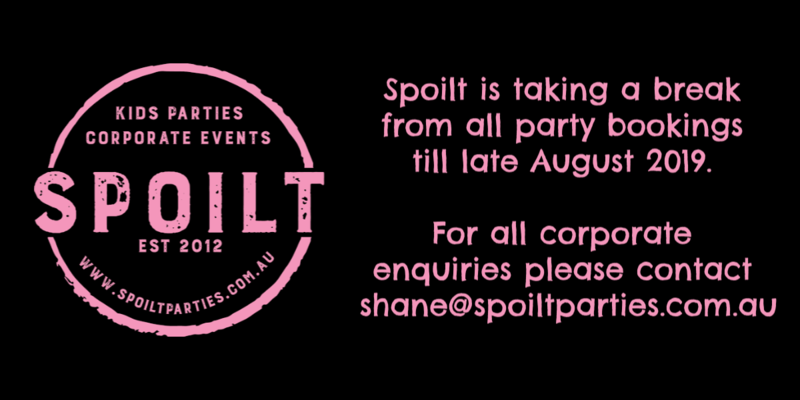 A fun way to make everlasting memories of your Spoilt Party. 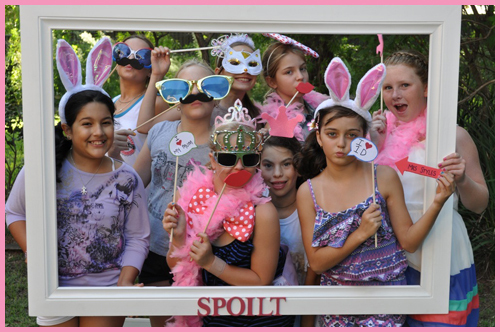 With many different crazy props and the signature Spoilt photo frame, lots of laughs will be captured and a link sent to you after your party with all photos from the party and photo shoot taken. 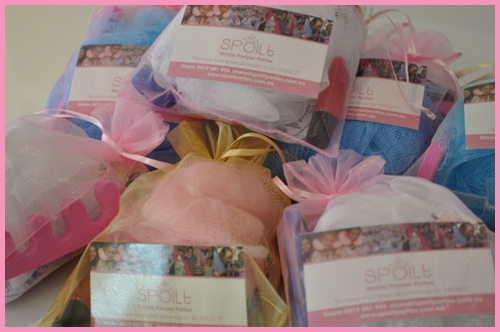 All this for just $50 on top of your selection Spoilt Pamper Pack. We don’t want your little brother to miss out on any of the action. 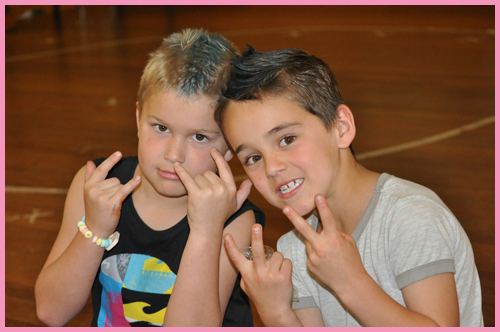 For an additional $15 per punk, they can have cool black nail polish, crazy blue hair and a tough tattoo!! Your 15 seater chariot awaits !! Your guests will be singing their way around the suburbs in a stretch hummer complete with flashing lights, all the latest tunes, soft drinks and maybe even a special drink for Mum or Dad !! 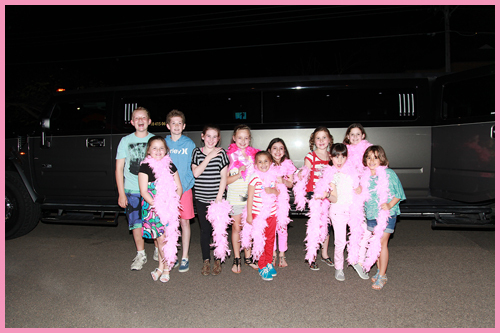 End your Spoilt Pamper Party in style with this hour long ride that the girls and boys will never forget. They will be the talk of the town for months !!! Contact Shane for more details. Add this fun, exciting and memorable cake to your Spoilt Party. 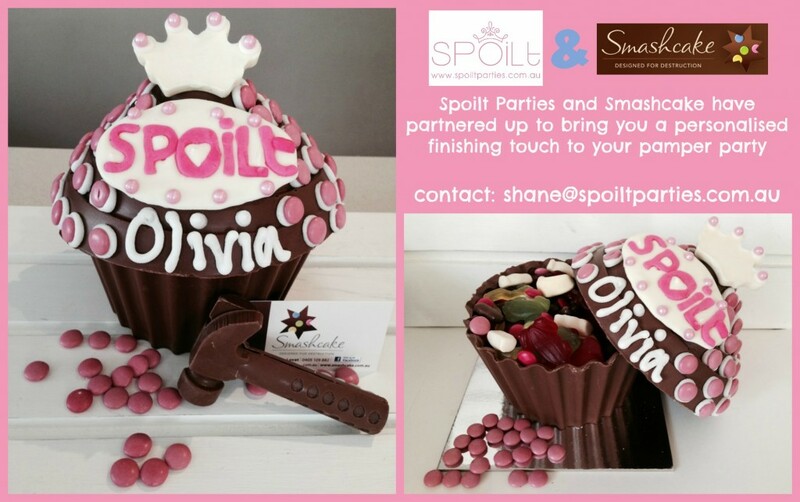 Watch the girls faces as they SMASH their birthday cake open and see all the lollies and chocolates inside spill out. Give the little ladies a pretty little bag to collect their new found treasure and you have got the take home lolly bags covered as well. Ask Shane for details on price and how to order.